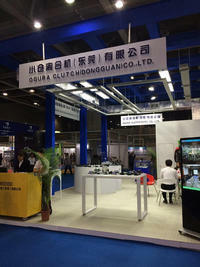 and Cold Chain Technology Exhibition. This is Ogura’s 8th year of participating in the show. 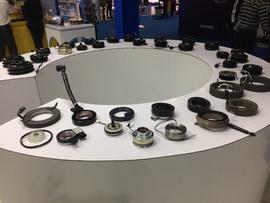 182 companies exhibited.The show is a chance for automotive air conditioning component makers to get together and exchange information about new products and new technologies. Ogura’s booth was near the entrance, so it had good exposure.Besides air conditioning clutches, Ogura also showed industrial clutches and racing clutches as well as videos showing the race cars that Ogura　supports. This helped set the booth apart from other companies at the show.